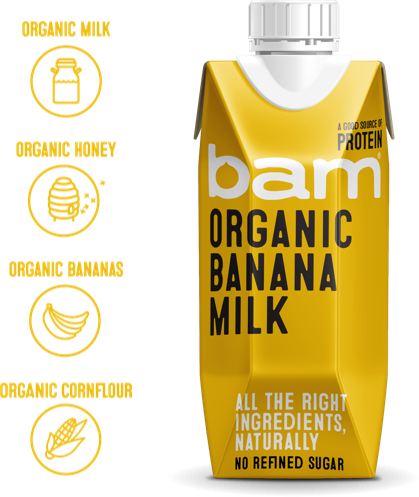 At Bam we advocate sustainable responsibility. That is manifested in our choice of ingredients and packaging and where possible in the day to day running of our business. Our products are made from totally organic ingredients and our packaging uses limited plastic as we strive to do our part to save the world and help our customers fight the fake. Using organic ingredients means that our impact on the environment is limited due to more sustainable farming practices, by limiting the use of pesticides and fertiliser on the fields that grow our bananas and giving the happy cows that produce our milk a more natural diet with space to roam and produce the best quality milk possible. 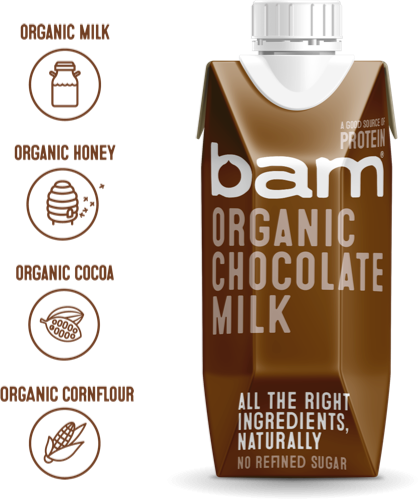 Bam Organic milk drinks are built upon a base of British Milk from certified organic dairy farmers. We source our milk directly from the county in which our milks are produced and surrounding areas. 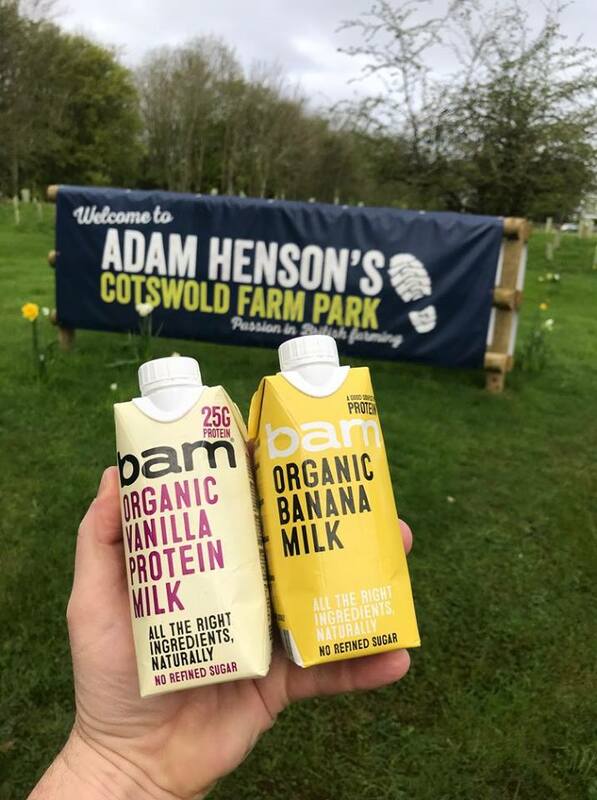 We aim to do our bit to support British farmers, utilising their organic produce where possible and providing a growing market for organic milk. We utilise the Tetra Pak as the carrier of our milk drinks. The packaging is made out of a combination of paperboard (75%), polymers (21%) and aluminium (4%). The Tetra Pak is totally recyclable and allows us to store our drinks out of the fridge for up to 9 months, helping reduce our wastage. 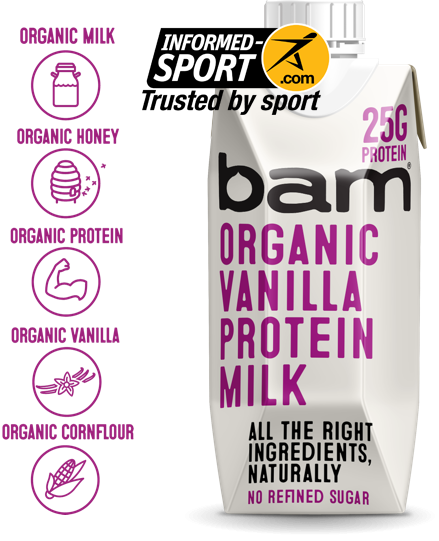 Our choice of packaging has one of the smallest footprints in terms of energy use and carbon footprint, far outstripping the performance of PET alternatives that many other flavoured milks are packaged in.